Are you trying to find a php contractor. PHP is the world's most popular, general-purpose, open-source scripting language and MySQL is the world's most popular open source database. The Computer Geeks have been working with PHP & MySQL since the year 2000. We have created or modified many PHP projects. When you are trying to find a php contractor. 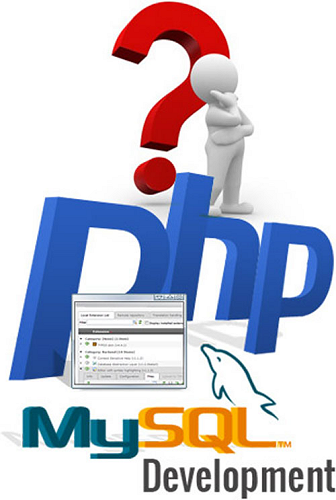 Our PHP team has a wide range of experience in multiple main stream PHP platforms. This gives us the flexibility and experience to handle any type of PHP project that our customers require. We have a lot of experience in Wordpress, Joomla, Drupal, osCommerce, Zen Cart, Magento and more. We have successfully created or modified several thousand PHP projects since the year 2000. Contact the PHP Expert to talk about your project. When you are trying to find a php contractor. You are delightfully easy to work with! This is much appreciated as it has not always been this way. "We are extremely happy with the service and advice from The Computer Geek. As a business owner, your website is one of the most valuable tools you have to reach your customers, new and old. The last thing you want is any sort of issue or problem. When we have had problems, we had no idea who to turn to until we found The Computer Geek. Rich and his team have helped us with problems - big and small - and we are incredibly grateful. They helped us with a major hacking problem and resolved it quickly. They are our trusted friend and security in the digital world. They keep us online and looking good - and I don't have to worry about anything because they make sure we are safe and sound. That's what I want as a business owner: trust in the professionals who help us achieve success, confidence in their abilities, and a fair cost for what they do. I highly recommend The Computer Geek to anyone. They know what they are doing, do it better than others, explain everything clearly for us non-tech people, and they charge a very reasonable fee. Thanks Computer Geek!" Thank you very much for your hard work and support this has been a very pleasant experience setting up our website. I had no idea what I was doing and you guys walked me threw it with ease you and Anna are a pleasure to work with. I hope to continue working with you in the future your level of service and attention to detail is second to none! "I was notified by my web hosting service that they had deactivated my website due to the presence of malware. I contacted Rich, described my issue (via online chat.. Made it very easy), and within the first 30 minutes, I received a quote, and within two hours, my website was back up, with all issues resolved, and at a very reasonable price. I highly recommend, and plan to utilize Computer-geek in the future." I take this opportunity to confirm that the level of support I received form Computer Geek was exceptional. From my initial contact with Rich to my daily interactions with Anna (Developer) I found their responsiveness and professionalism to be outstanding. They delivered a tremendous finished product in a very short time frame, all within budget (no surprises or additional costs whatsoever!). I'm completely satisfied with my website and have received some very positive feedback about the site. I recommend the Computer Geek without hesitation!! "I have been relying on the Computer Geek and the Website Guardian for well over a year. I then realized I never even took the time to write a testimonial knowing that they are so important to my own business. Rich and the Website Guardian are top notch. Awesome and as one other customer put it - you and Website Guardian are part of my team. Without security your customers are at risk. Enough said - this is too important to ignore. All I can say is that this is the one call you will be happy you made." "Working with Rich over the past six years has been amazing! Rich and Shane are there whenever I need them - 24/7. One of Rich's best assets is his honesty. If I need something done he provides several choices and price options to accomplish my needs. He never hesitates to make suggestions to save us money while still meeting our requirements. They work tirelessly with our organization ensuring our satisfaction. That type of service is very hard to find. Rich and Shane have been an integral part of advancing our organizations website needs! Thanks Rich and Shane!" Difference between client side scripting and server side scripting with example? How does a search engine let you search for information on the web? Where do web pages have to be stored to be viewable on the web? php contractor | Computer Geek 5 out of 5 based on 103 user ratings.